Our Eco-Industrial Hub (Eco-Hub) is a working model factory and exhibit hall with hair salon, pop-up pet groomers, roof garden and more. 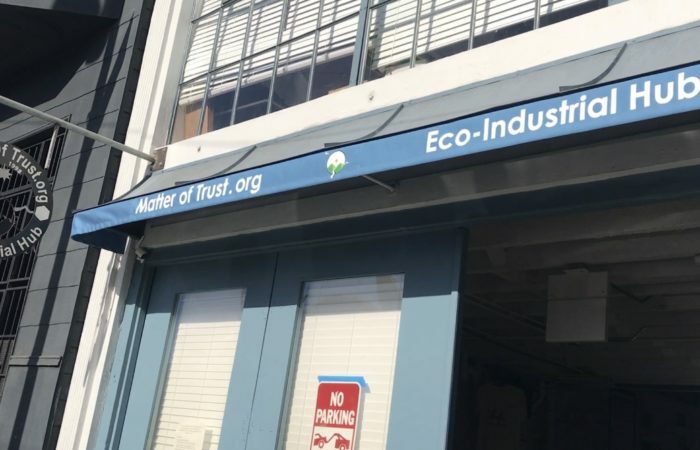 This lovely warehouse showcases our eco-educational walls representing the macrocosms of Clean Air, Clean Water, Clean Energy, Ideal Materials, and Eco-Industry. Open to visitors of all ages, we welcome tourists, students, corporate off-sites, walk-ins, retreats, field trips, volunteers, interns and more. 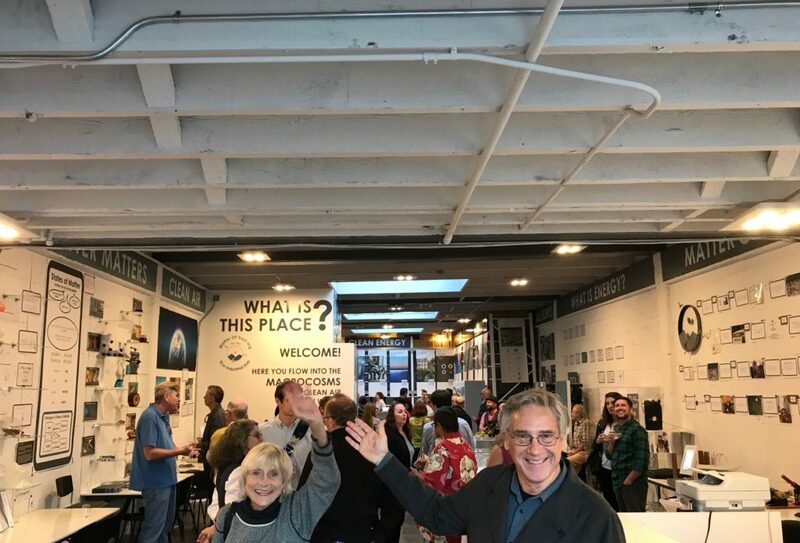 Fun tours with interactive and productive activities are available and allow each person to connect on how their choices matter to the world. For hours and directions, click here. This place is designed to encourage the perspectives and incentives of all who enter. Looking at successes and barriers, sector by sector, the goal is to make real progress in greening industry and improving overall quality of life. We have seen sectors like the textile trade dwindle in the US before our very eyes. We know there are great benefits to keeping such industries alive so we encourage adopting the competitive edge through sustainable practices. The US is not currently a leader in manufacturing but it can still be a trailblazer in the fair trade and buy local movements. 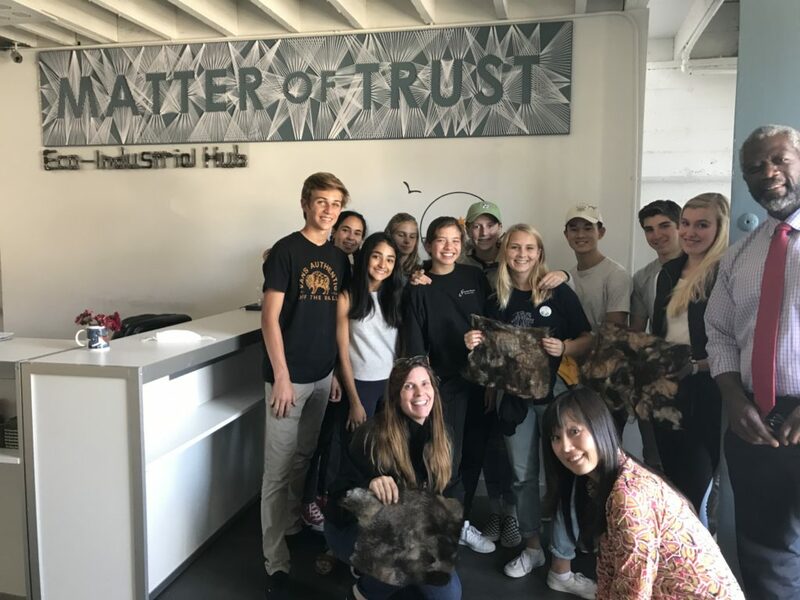 Matter of Trust is a strong advocate for youth training programs and recognizes the importance of exposing high schoolers to new and innovative career paths. Apprentices in our programs learn about materials collection, sorting, renewables, manufacturing, composting, high-tech and low-tech design and implementation, internet presence, exhibits and eco-education, perspectives, incentives, roundtables, sales, marketing, and research. For more information see our pages for volunteers, interns, and apprentices.